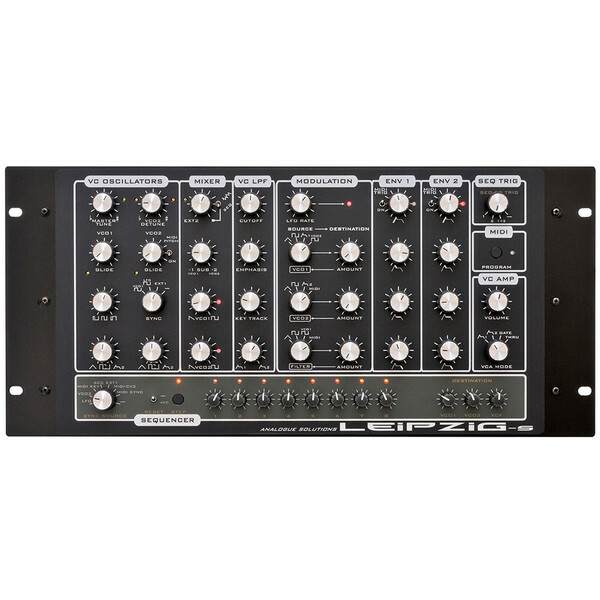 The Analogue Solutions Leipzig Module is a rack mounted 100% analogue synthesizer. 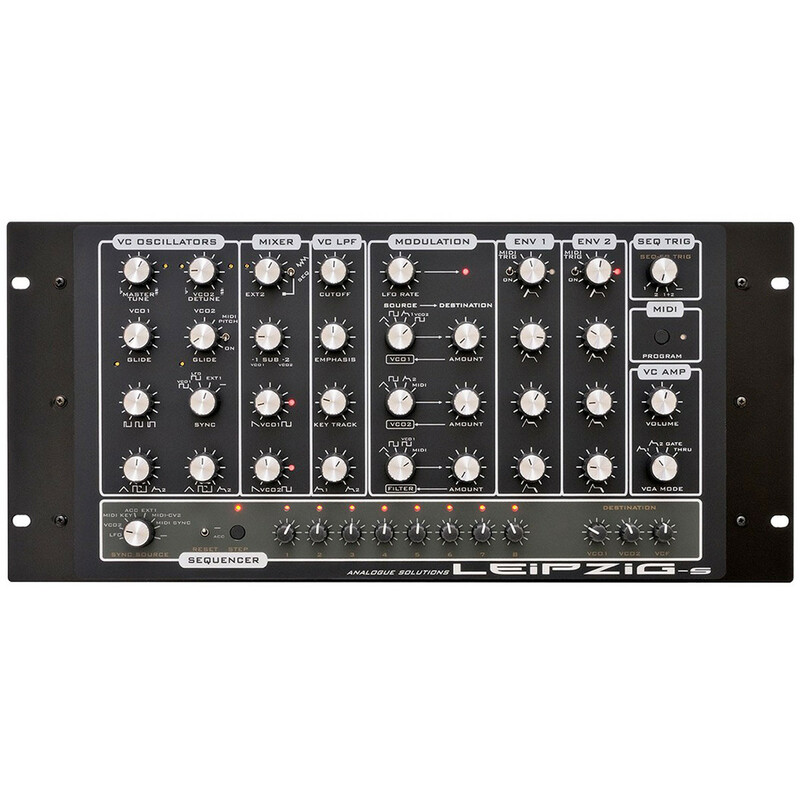 The Leipzig features a redesigned resonance control and Moog style transistor ladder filter. The 2 VCOs both feature glide and Sub-VCOs, which helps create a rich analogue tone. 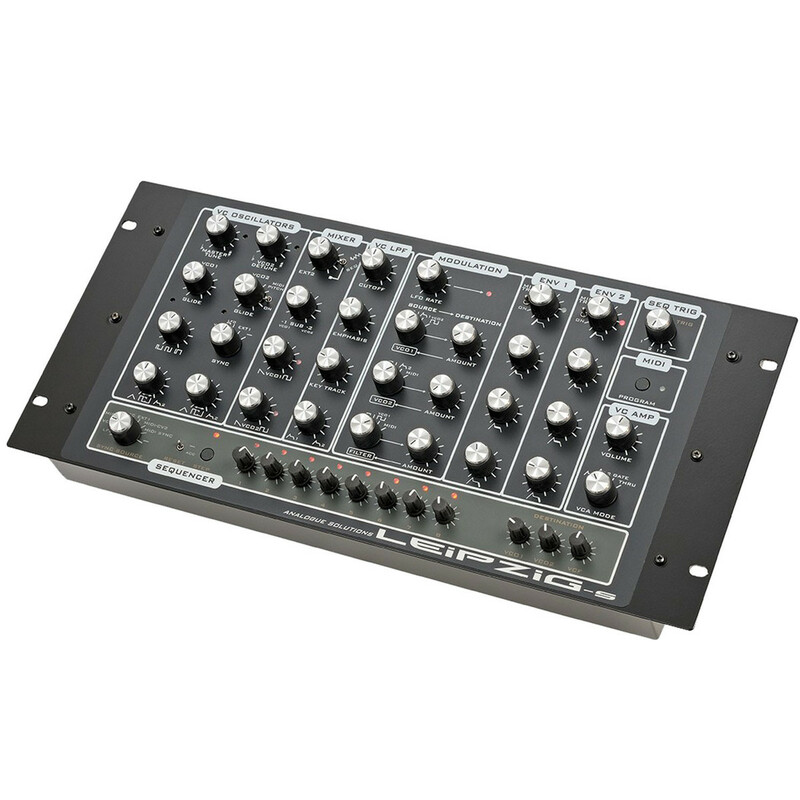 The unit has plenty of modulation and routing options, with MIDI for computer control and all this is housed in a rugged aluminium case.